Our friends at Phusion and Nedap are giving away 10 tickets to Bubbleconf to Rails Girls (Summer of Code) alumni & supporters! And YOU want one. Why? BubbleConf is THE conference on design, development and entrepreneurship. It differs from all the other conferences out there in that it focusses on a myriad of topics instead of just a single one. This is only made possible due to its stellar speaker line-up which consists exclusively of field experts and founders of the hottest startups currently out there. Let us hear your best ‘WOW’! Last year’s edition had over 300 attendees come down to Amsterdam from all over the world. 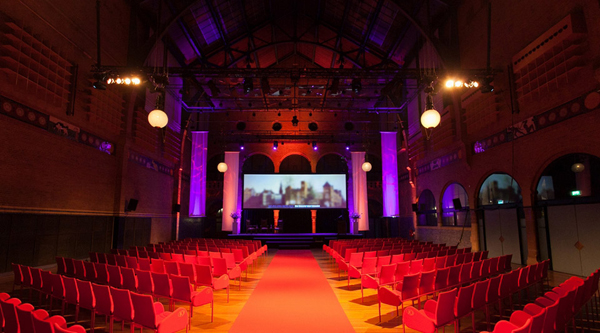 On September 27th 2013, developers, designers and founders from companies such as Dribbble, GitHub, Facebook, SoundCloud, 6Wunderkinder, Apple Design Award Winners and many more will be sharing their stories in the gorgeous the Beurs van Berlage (in itself a reason to visit Amsterdam). Fun fact: it’s where the Dutch Royal Wedding of King Willem Alexander and his Queen Maxima took place. Phusion and Nedap have followed the Rails Girls initiative with great interest for quite some time and would like to help remove barriers whenever it can to welcome diversity in the fields they are active in. To that end, BubbleConf has invited Pia Henrietta Kekelaïnen and yours truly - respectively member of the global Rails Girls team and Rails Girls veteran - to take the main stage to share their story. And additionally they want to provide 10 tickets to Rails Girls (Summer of Code) students, mentors, coaches and organizers. ###How do I win this thing, you say? Tweet “Hope to see you at #Bubbleconf” with a picture of you waving / a cute kitten / something fun and bubbely attached from the account that you’d want to score a ticket. You can also participate as a Rails Girls Summer of Code team, securing a ticket for you AND your team mate. A special, super unbiased Summer of Code jury will look over the submissions and pick 10 lucky winners (to avoid bribery the judges remain anonymous). So: tweet, tweet, tweet!! Seeing as BubbleConf will take place in about 2 weeks from now, the winners will be announced on Friday at 12:00 Berlin time. With already over 300 registered attendees, this year’s edition will only be more awesome with your presence. Hope to see you this September 27th at BubbleConf 2013! 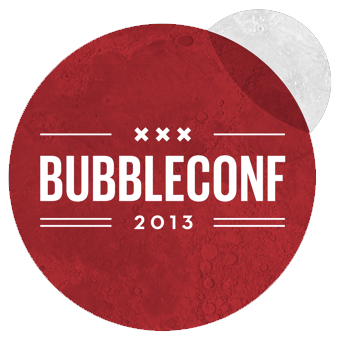 If you want to make sure to get a ticket for BubbleConf, you can also buy one via http://bubbleconf.com. Students only pay EU 60 (incl. VAT) per ticket, and Standard Tickets are EU 300 (incl. VAT) a piece. For Rails Girls members however, we’re able to provide a nearly 50% discount on the Standard Ticket pricing, making them EU 160 (incl. VAT) per ticket. You can order these tickets via https://bubbleconf2013.paydro.net/event/bubbleconf-2013/railsgirls!